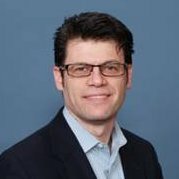 Turesol Staffing Solutions announced today that Dr. Philippe Cini, Tunnell Group Vice President and Turesol Business Unit Leader, will moderate a discussion on the subject of “Process capabilities as they apply to the pharmaceutical and biotech industry” at this year’s ISPE Annual Meeting & Expo. The theme of this year’s meeting is “Driving innovation to advance patient therapies,” and the professional development event will be held from October 29 to November 1 in San Diego, California. For the last two years, Dr. Cini has been leading a workgroup at ISPE to advance industry thoughts and practices on the use of process capability. The workgroup has developed a process capability maturity model that specifically applies to the pharmaceutical and biotech industry, which will be published in early 2018. “While process capabilities are reasonably well-known concepts and tools, their further use in our industry will lead to more robust manufacturing processes and improved supply reliability,” said Dr. Cini. Dr. Aaron Goerke from F. Hoffman La Roche Ltd. and Dr. Stephan Krause from AstraZeneca Biologics will present case studies on how those tools are applied to their respective organizations and the lessons they learned along the way. Dr. Chunsheng Cai from the FDA will present how process capabilities support various regulatory requirements.